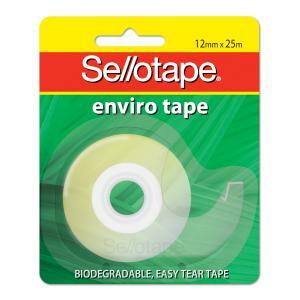 Sellotape Enviro tape is is biodegradable tape made from regenerated wood pulp that tears easily by hand. Ideal for general sealing and bundling of lightweight materials using an environmental option. Tape is 12mm x 25m in hand held dispenser.